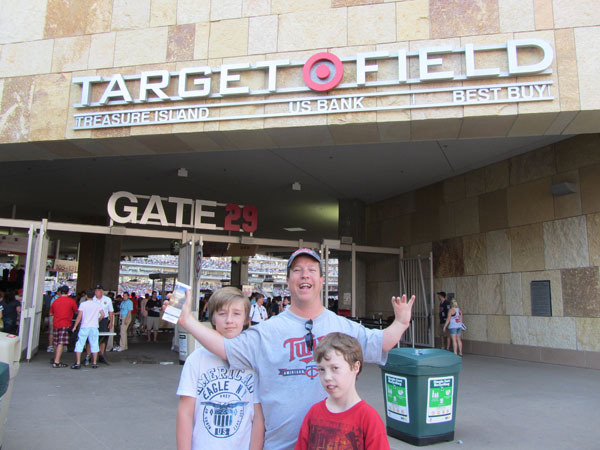 On Saturday night, we had the opportunity to attend a baseball game between the Twins and Royals at Target Field. 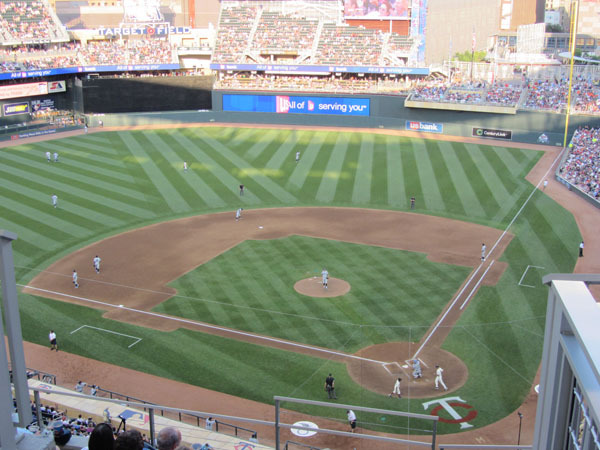 It was a beautiful, sunny June Saturday and a great reminder of why we all in Minnesota bitched for so long about not having outdoor baseball. 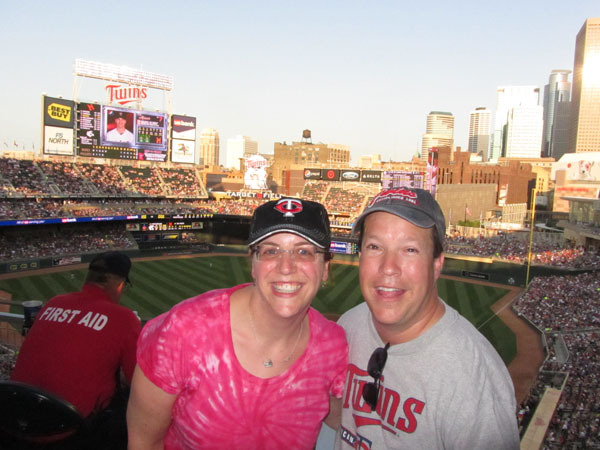 The Swank Family was ready to root for the Twins! 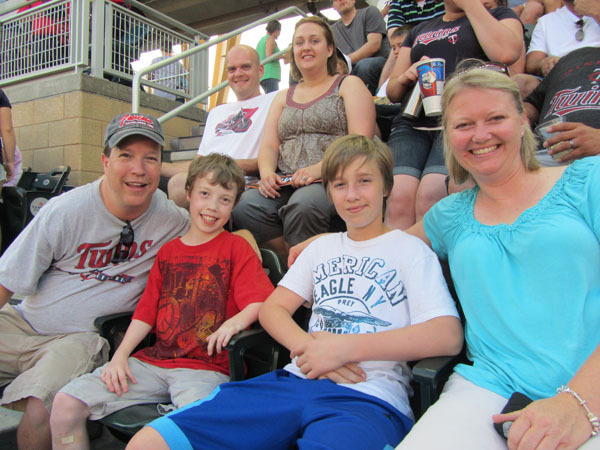 I thought the security guard, Gail, was going to give me a hard time for taking a picture of my family during the game, but instead she volunteered to take the picture for me. So I just had to repay her the favor and get a picture with her as well. 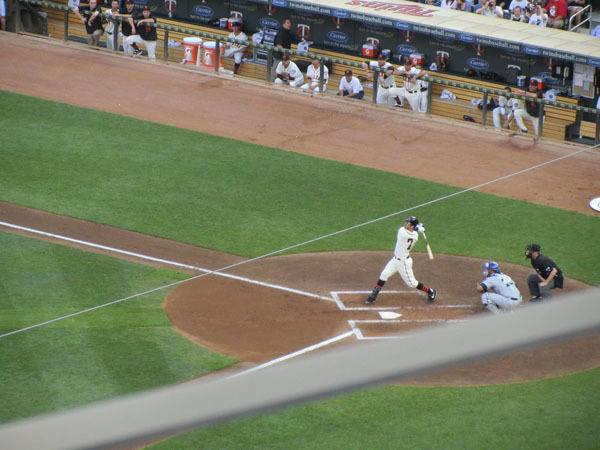 Then Joe Mauer hit a home run, but I was too busy uploading pictures to Facebook to notice it happening. Luckily, Miss Sheri caught a photo of it so I could enjoy the experience later at home from my computer. 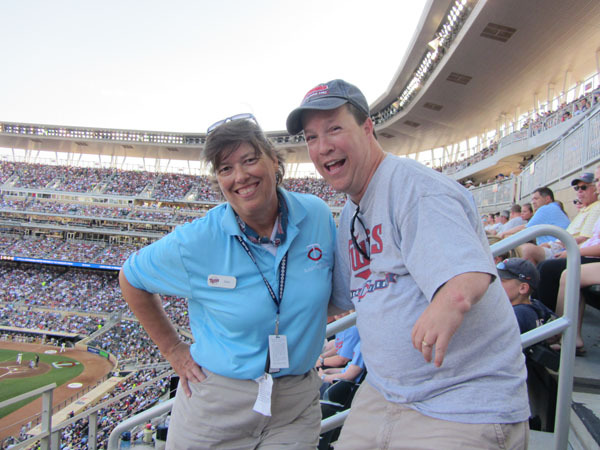 Luckily, I was checking Facebook because it allowed me to discover that my old Co-Worker, Terri Burnor, was also at the game. Seeing her was much better than seeing any silly old home runs! 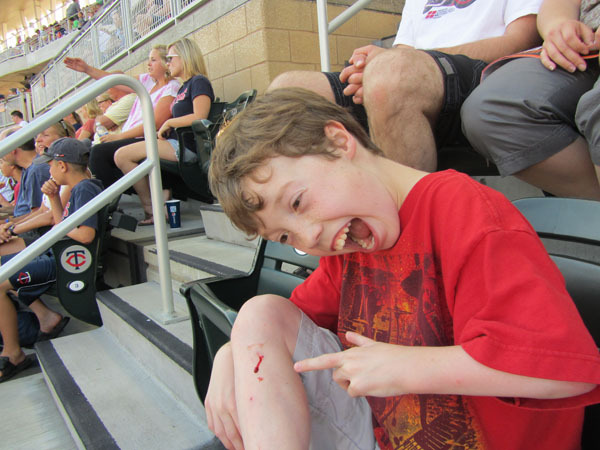 The night wasn't completely without drama when we looked down and found that Luke had been inexplicably injured during the game. He was pretty stressed out about it. 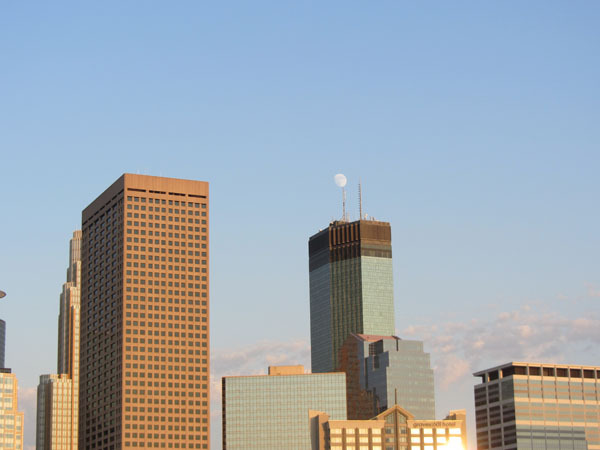 But the real scary point of the night was when we all suddenly noticed that it looked like the IDS Center was going to Pop The Moon. That would have really sucked had that happened!